Most of people have data card which are factory locked, but when you want to change the SIM card obviously you want to change your service provider so this data card need to be unlocked in order to use others SIM card. so I'm gonna show you, how easily you can unlock your data card in few clicks. Note : MaxxTricky will not held any responsibility of any damages caused by anyone, the tutorial I tested on my own data card, the .exe file may contain virus or malicious malware so recommend you to use it on virtual windows or with sandbox. The list of 3G and 4G data card that could be unlock is in the end of this tutorial. Step 1 : Search your Dongle/Data card model from the list in the end of this tutorial. Step 4 : Now plug-in your Data card and in DC-Unlocker click on "Select Manufacturer" box and I select ZTE datacardes you can select your own datacard manufacturer and in "Select Model" box leave it to "Auto detect". Step 5 : Click on Unlocking and hit the Unlock and it's done...!!! 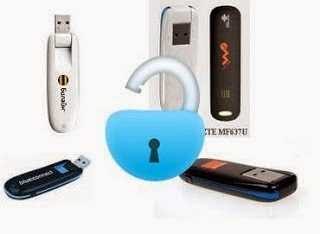 If anyone was unable to unlock your huawei modem by the above unlocking method means try any one of the online unlocking service provider like Mobile-Unlocker.com Here you can unlock your modem by network unlock code at low cost.